"I played baseball, football, tennis and soccer, but my favourite sport was hockey." My name is David Martell. Sports have always been a big part of my life. I played baseball, football, tennis and soccer, but my favourite sport was hockey. I started playing at the age of seven in 1968 on the outdoor rinks of Canadian Forces Base, Cold Lake, Alberta. 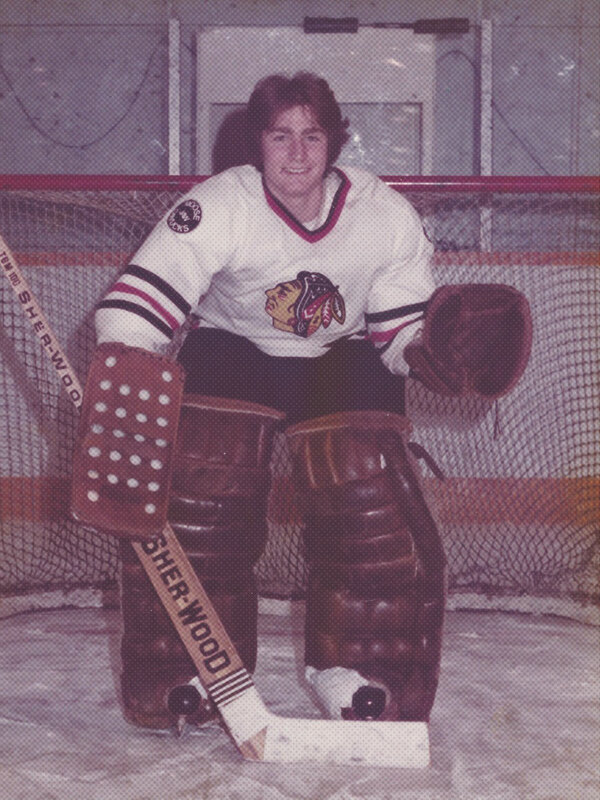 I took up the position of goalie right away and got my first pair of goalie skates in 1970 and my first real mask in 1971. It was a Jacques Plante Fibrosport that my Dad had to order directly from Maple Leaf Gardens in Toronto. (I still have the original $15.00 receipt). By the age of 14, I had played competitively in several International tournaments including the International Friendship Series between Summerside, PEI and Natick, Massachusetts. Prospective NHL player Jay Miller of the Boston Bruins was on the Natick Comets team. I had the pleasure of seeing Jay again in Boston in 2013 and he was a real gentleman. 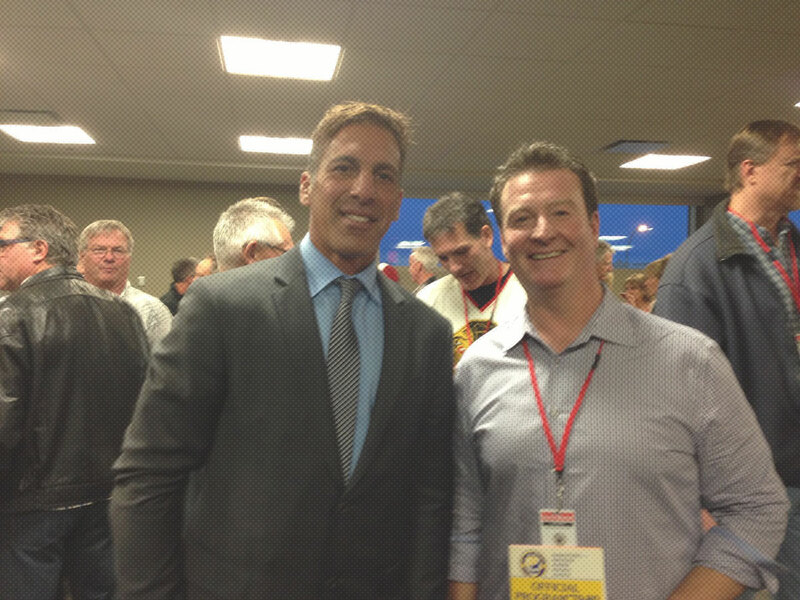 We shared some great stories of those minor hockey days. When our family transferred to CFB Moose Jaw, Saskatchewan in 1975, our team traveled to Whittier LaHabra, California where we played teams from San Jose CA, San Diego CA and Phoenix AZ. One of our games was in the Fabulous Forum in Los Angeles. I attended my first NHL game that week, watching the LA Kings defeat the Kansas City Scouts, 8-3 with Marcel Dionne notching a Hat Trick. During the trip we had games in Las Vegas, Nevada and Salt Lake City, Utah. My competitive hockey journey ended in the Saskatchewan Junior Hockey League with the 1978-80 Moose Jaw Canucks. I am so grateful to my Mom and Dad, who have passed on. They sacrificed so much to make sure I could play the game I loved. My passion for the game is rooted in those formative years. "I decided to embrace my passion for vintage sports memorabilia and started Global Vintage." My favourite mantra: “You can’t graft a new idea on a closed mind”. In 2003, I decided to embrace my passion for vintage sports memorabilia and started Global Vintage, retiring from the field of human services of which I had dedicated 20 years. I have been so fortunate these past 15 years to have worked in a vocation I truly love. The collectors, athletes, historians and other memorabilia professionals I have met along the way have taught me so much. I believe we are always learning, if we choose to. And I am very thankful to all of those who have contributed to my knowledge and to the growth of this company. Back in 1990 when the big hockey card boom hit North America, I would spend hours checking out the inventory in the local “card shop”. But it wasn’t the shiny new cards that caught my eye. It was the old 1910 Imperial Tobacco Hockey card of Newsy Lalonde or the 1951 Parkhurst Turk Broda. My passion for quality vintage memorabilia was ignited and still burns strong today. That passion is reflected in the items I choose to represent. Items that speak to the history of sport. Global Vintage will maintain a collection of game worn jerseys under the trade name, “The Canadian National Hockey Museum”. These jerseys are truly ‘museum’ worthy and are available to rent as a display for your special event at a very reasonable cost. You can choose from the established theme options or contact us to discuss a customized theme for your event. I will be on hand during the display to answer any questions people may have. In the sports collectibles market the terms ‘rare’ and ‘scarce’ get tossed around with much regularity these days. That is something that is often determined by the knowledge and experience of the beholder. When I label something as being “rare” or “scarce”, I do so with the combined experience of my own observations along with those who have a particular expertise in that area. What I have found with vintage hockey memorabilia is that the hobby is still so young compared to that of baseball. The availability of vintage hockey collectibles pales in comparison to that of baseball. Much information is still being gathered on certain hockey card sets and vintage game worn jerseys. In some cases the lack of information on a very scarce piece causes the demand to be low. But once the knowledge and significance of a piece is determined, its demand inevitably rises. My 15 years of experience has provided me with a healthy network of collectors, former players, coaches and trainers, media personnel and other professionals in the field of sports memorabilia. As a result, I have moved some very desirable pieces to private collections all over the world and have also established a strong customer base in the areas of vintage hockey cards and game worn jerseys. Global Vintage endeavours to provide a nice mix of very rare items along with less rare but still highly sought after pieces. 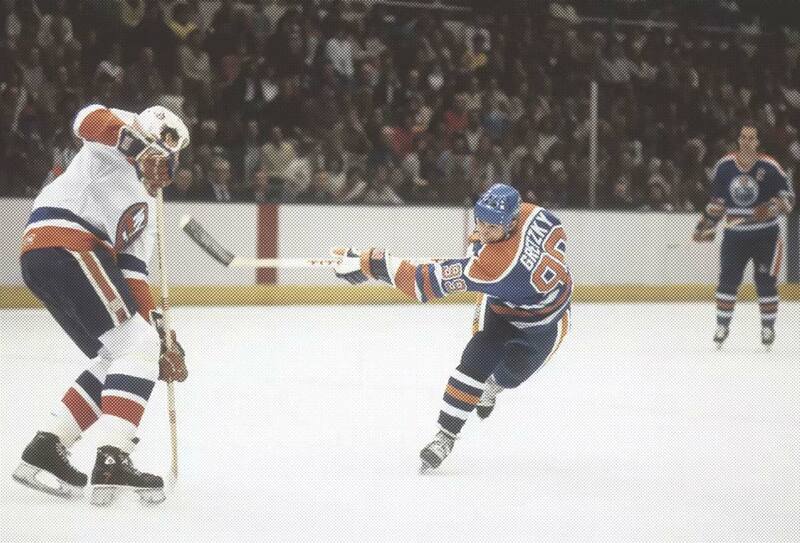 And although the main focus will be on vintage hockey, I will also look to provide baseball and football memorabilia. Global Vintage guarantees the items labelled as “Game Worn” to be authentic game worn items as described in the listing. Each item will come with a letter of authenticity from Global Vintage Sports Memorabilia Inc. Most all of the sports cards will already be graded and authenticated by a third party company. All photos, postcards and other memorabilia are guaranteed authentic and original as described.